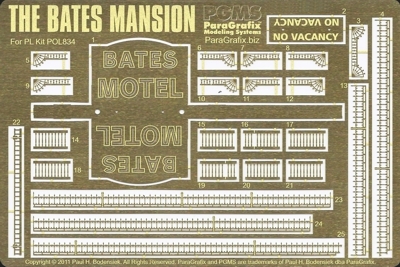 Super detail the railings for the Bates Mansion kit from Polar Lights. Includes all railings scaled precisely from photographs of the original set. BONUS: Includes “Bates Motel” sign with through holes matching the original neon so that it can be lit.